Simon Temple knew when he met Laura Marshall in the third grade that he would love her forever—though it wasn’t until middle school that she finally admitted she felt the same way about him. College and career plans parted them for nearly a decade, but when Simon returned to Gracechurch to join the fire department there, it was not long before he and Laura were reunited. For both, it was as though they’d never been apart, and an engagement soon followed. Then Laura shocked the entire town when she suddenly—and without explanation—called off the wedding two weeks before they were set to walk down the aisle. No amount of pleading on his part got an answer Simon could live with, and so he was left to pine away for a woman whom he had loved for a lifetime, but who apparently no longer wanted him. Out of the blue, Laura is drawn into a police case being investigated by Simon’s detective brother, and his protective instincts come roaring to the surface. Will the connection between an abandoned infant and a series of threatening phone calls be discovered before the truth finally comes out, or will Laura take her secrets to her grave? It was with a start that her eyes snapped open sometime later. Sleepily, Laura rolled over and glanced at the digital clock on her bedside table, noting that it was just after two in the morning. What had woken her from so sound a sleep? Grace wasn’t crying, was she? No, she realized as the fog cleared from her mind. It was Ranger she’d heard—the wolfdog was standing at the door to her bedroom, and even in the dim moonlight shining through the bedroom window, she could tell that his hackles were raised. His growl was quiet, his tail hung low and close to his body. “What’s the matter, Ranger?” she asked, wondering what had irritated the dog. Surely not the cats—they were in a whole other room. Sitting up in bed, she listened, at first hearing nothing. In the next moment however, just a split second before Ranger’s growling increased in volume, she heard the distinctive sound of someone jiggling a doorknob. Fear lanced her heart, and Laura blindly reached for the telephone that sat next to the clock, dialing without thinking as she threw the covers back and moved to the bassinet to pick up Grace. The baby, thankfully, stayed soundly asleep as she was lifted to her shoulder. Laura blinked, not sure at first whose voice that was. Then it hit her—she’d dialed Simon without even thinking about it. “What’s wrong?” Simon said, the sleepiness immediately gone from his voice. She jumped and tried not to scream as whoever was at the back door—or the front door—made a louder noise. Ranger began to bark in earnest. Christina Moore has been writing stories off and on since childhood. She became an avid reader and writer of fan fiction in her late teens, and writes stories in make-believe universes even today. Now, some of those tales make her a little bit of money…though she still visits her favorite fandoms every now and then. 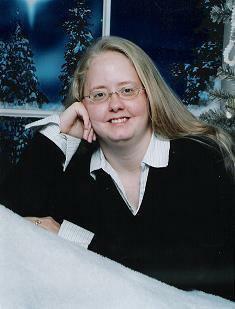 She truly loves to read, and as a professional author she has published paranormal romance and romantic suspense. Christina lives in Ohio with her four fur-kids and is currently working on her next writing project.